When you’re just another pump and dump altcoin launch in a see of thousands, you can either work on actually adding to cryptocurrency or try to gimmick your way to legitimacy. 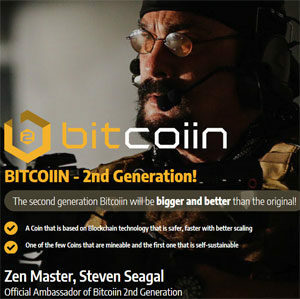 Through the hiring of Steven Seagal as Brand Ambassador, take a guess which route BitCoiin have chosen. So as Brand Ambassador for BitCoiin, what exactly does Seagal bring to the cryptocurrency industry? Not a lot it seems, with a Medium press-release reading like self-promotion for the “Zen Master” more than anything. A February 13th press-release from “John Williams” (nothing suss) goes into a bit more detail. After meeting with officials from B2G, bitcoiin, organizers of Bitcoiin B2G’s March 2018 Initial Coin Offering (ICO), and reviewing their new business plan, Mr. Seagal has decided to endorse the B2G ICO, with full commitment and enthusiasm. Mr. Seagal is also a participant in this new cryptocurrency ICO. “I endorse this opportunity wholeheartedly,” Mr. Seagal told the participants at a recent meeting in B2g’s executive offices in Asia. To what extent Seagal is actually involved in BitCoiin is unclear. As I write this there’s nothing about the partnership on any of Seagal’s social media profiles. Despite billing itself as “the second generation of cryptocurrency”, other than the usual “we’re better than bitcoin promises, BitCoiin doesn’t actually bring anything new to the table. Seagal being a BitCoiin Brand Ambassador appears to be for no other reason than to distract potential investors from this fact. The SEC meanwhile have advised strong caution when dealing with cryptocurrency celebrity endorsements. These endorsements may be unlawful if they do not disclose the nature, source, and amount of any compensation paid, directly or indirectly, by the company in exchange for the endorsement. There is of course no disclosure on any of BitCoiin’s press-releases as to how much Steven Seagal was paid to endorse the ICO. In addition to the company potentially running afoul of the SEC, Seagal himself might also land in hot water over the endorsement. Any celebrity or other individual who promotes a virtual token or coin that is a security must disclose the nature, scope, and amount of compensation received in exchange for the promotion. 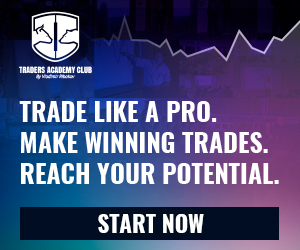 A failure to disclose this information is a violation of the anti-touting provisions of the federal securities laws. The SEC will continue to focus on these types of promotions to protect investors and to ensure compliance with the securities laws. A pump and dump altcoin is still just a pump and dump altcoin, regardless of who’s paid to pump it. BitCoiin will be hyped by those who’ve invested, it’ll launch, early investors will sell, nothing will happen and then B2G will dump. This is a scenario that has played out over and over in the MLM cryptocurrency niche, and there’s absolutely nothing indicating BitCoiin’s B2G ICO will be any different.